A man has been stabbed to death in north London. 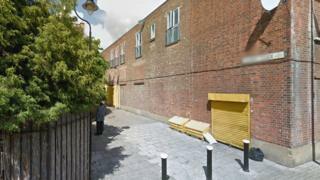 Police were called by London Ambulance Service to a report of a stabbing in Albert Place, Tottenham at about 01:20 GMT. A man, believed to be in his 20 s, was observed with stab traumata in an alleyway and was taken to hospital where he was pronounced dead an hour later. No seizures have been built, wonders are ongoing. Formal identification of the victim has yet to take place. Det Ch Insp Lloyd said: “We’re in the early stages of the investigation and at this stage we are working hard to piece together the chain of events that led to a young man losing his life.